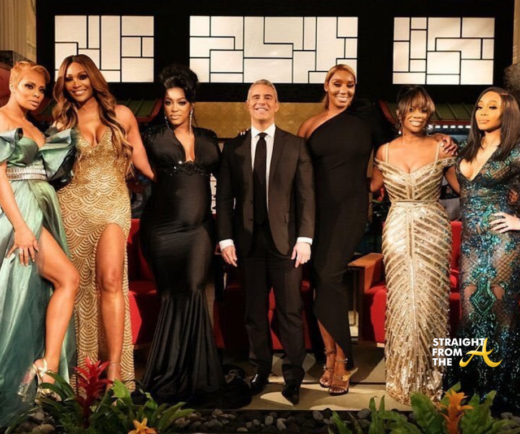 If the first scenes of the reunion are any indication, it’s Nene Leakes aka “The OG Threat” vs EVERYBODY! Nene arrives late but cool as a cucumber and appears ready for battle. She even marks up her sign as perhaps a warning for those who have been plotting for her demise. Meanwhile, Kandi is on damage control in her dressing room as she attempts to convince Andy Cohen that Cynthia had nothing to do with Kenya showing up. 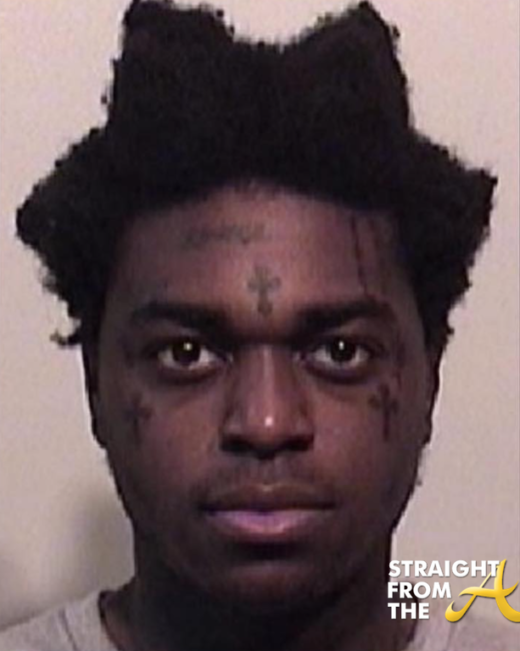 The reunion hasn’t even started yet, but it’s clear that the battle lines have been drawn. The ladies wardrobe is even color coded for battle. We all know that Porsha and Kandi aren’t the best of friends but when it comes to the show, the have managed to find a peaceful common ground. 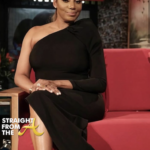 Kandi admitted earlier in the season that she backed off of her smear campaign when she realized how similar Porsha’s situation was to her relationship with Todd. The reunion brought that all full circle as Porsha revealed she has issues with Dennis’ mom (Mama Gina). Apparently Mama Gina is way too involved in her son’s life and Porsha hopes that the baby will change that. Kandi seemed to emphasize which is ironic being that it was her mom (Mama Joyce) who was kicking up dust when she and Todd got married. I guess they are more similar than they are different, which is why these two former foes seem to have formed somewhat of a friendly bond. The enemy of my enemy is my friend… right? They both seem to have their sights on battling Nene. 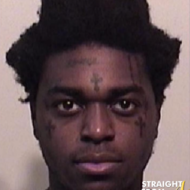 Could it be because Nene tried to open the door for Phaedra Parks??? Eva can dish it but she certainly can’t take it… and everyone agrees. Marcille is called out about her shady comments but she seems to think that her shade is light compared to the other ladies. Shade is shade though! 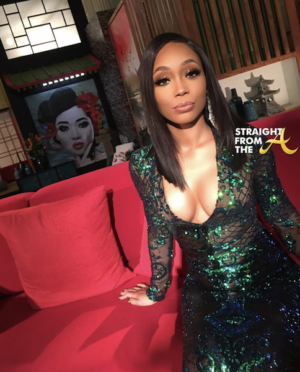 Eva is also called out about her colorist comments toward Shamea Morton last season, where she referred to Morton is “black with the Q”. Marcille attempts to explain away her remark by stating that her statement towards Shamea meant that “she was not in a singing group even though she’s an aspiring singer”…. I wonder how long it took to come up with that one??? Kandi called BS on Eva’s explanation and stood her ground, however Eva is adamant that it wasn’t her attempt to be colorist. Marcille even takes offense to Kandi’s assessment especially since she notes that Kandi is “dark skinned” herself. Eva would have come out better had she owned up to her ignorant remark. In my opinion, bringing up Kandi’s skin tone further proved everyone’s point. Kandi shares that she got emotional when Andy called her in the midst of her surrogacy journey. Apparently Andy scolded Kandi for being so flippant about the process and told her that her statement actually minimized her position in the child’s life. “YOU are that child’s mother!” Cohen reportedly told Kandi during their call. Kandi admits that she doesn’t have anyone who can relate to her struggles and appreciates Andy’s input. Social media has been an integral part of the season as there have been quite a few viral moments. 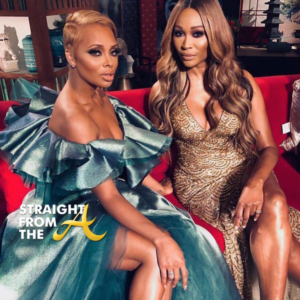 From Shamari and Ronnie Devoe’s shoulder bounce dance to Cynthia Bailey’s twerk attempts, it seems that the #RHOA hashtag is always poppin online! That being said, there are also times when the ladies themselves spark conversations with their social media posts. 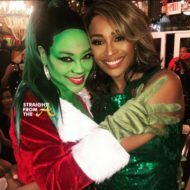 Nene’s posts about Gregg being mean was brought up and both Kandi and Cynthia expressed that they felt Nene should have kept those thoughts private and not have used social media to vent. Nene has also shared several cryptic posts over the past few months insinuating that she had a backstabbing friend. Andy asks her point blank if she’s speaking of Cynthia Bailey and she says she wasn’t (insert side eye). 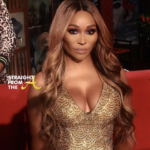 Cynthia also admits that everyone felt that Nene was speaking of her but since Leakes referred to the anonymous person as “insecure and not that pretty” she had her doubts. Nevertheless, Nene did share that she feels that Cynthia is insecure about some things and coincidentally, it’s Bailey’s use of the “CHill” hashtag in her social media posts. 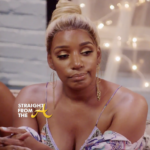 Nene says that the posts come off as if Cynthia is insecure about the relationship… and that was her OPINION. Similar to the OPINION that Kandi and Cynthia expressed about her “oversharing” her thoughts about Gregg. Now I would be remiss if I didn’t mention the elephant in the room. 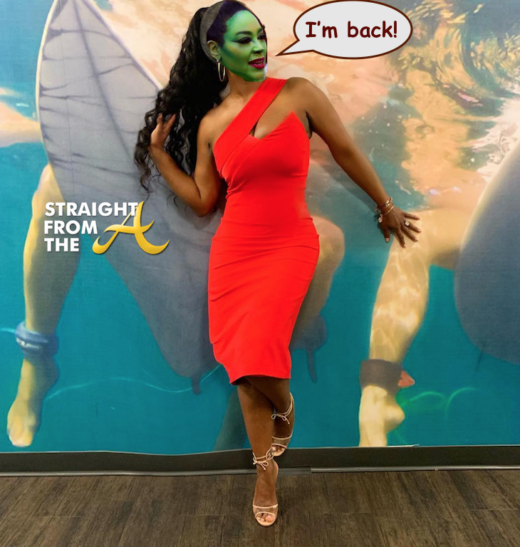 Clearly the QUEEN is standing online when it comes to this season’s reunion show and so far, just about all of the ladies have been gunning for her spot. 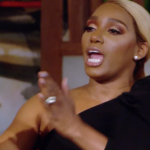 Porsha vs. Nene: Porsha was upset and offended that Nene no longer considers her a friend. She also brought up the fact that she never received a gift from Nene, to which Leakes was unapologetic in her response. I suspect Nene is still harboring a grudge about #Closetgate (which will be addressed on Part 2 of the reunion). Eva vs. Nene: Eva shares early in the episode that she feels Nene’s energy is “rah-rah”… i.e. locked and loaded. Nene seems to feel that she hasn’t even directed any energy towards Eva so she seems perplexed about Eva’s comments. The conversation sparks how Eva felt that Nene crying at her wedding was an issue, but Nene says EVERYONE was crying. 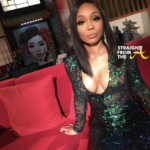 Apparently Eva feels ‘somekindaway’ about her wedding being background noise from the show, but what exactly does Nene have to do with that? 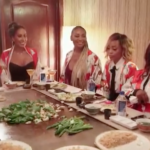 Cynthia and Kandi vs. Nene… We already know where this is headed but it’s clearly boiling to a head in part 1. 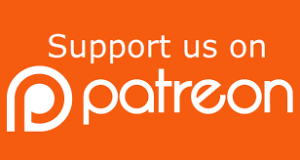 There are several times during the episode that Nene tells Cynthia “we are NOT friends” and for some reason, Cynthia seems confused. I mean… they were ‘friendly’ up until the day before the reunion until Nene got to see what happened behind the scenes during the finale episode. 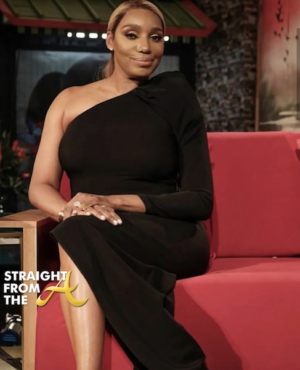 Immediately following the taping of the reuion, Ms. Leakes UNFOLLOWED everyone except Marlo and Shamari on social media so clearly there have been lines drawn in the sand. 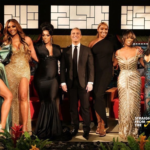 What are your thoughts about PART 1 of the Real Housewives of Atlanta season 11 Reunion?